Our group consists of a small number of Falcon enthousiasts. 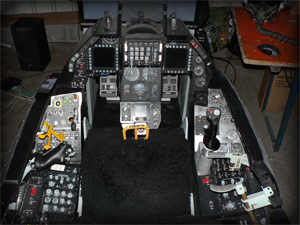 We combine building functional F-16 cockpits with flying regularly online. 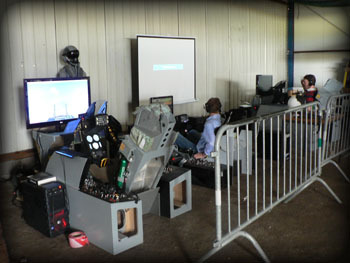 This year we attended the Opendagen at the small airport of Kiewit near Hasselt Belgium. 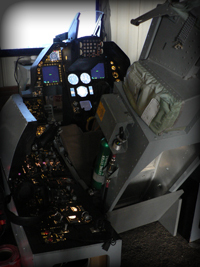 Lots of children where able to fly the F-16 cockpit again. We were present on the Historic Days on the belgium airfield of Kiewit. It was a memorable day. 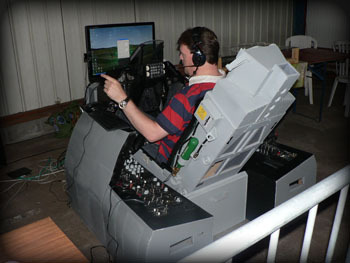 Great to meet up with flight enthousiasts in the virtual and the real skies. We explained our hobby of pitbuilding and demonstrated the joy of flying Falcon with a formation Demo (2 ship). We got many enthousiastic remarks and met with some new friends.